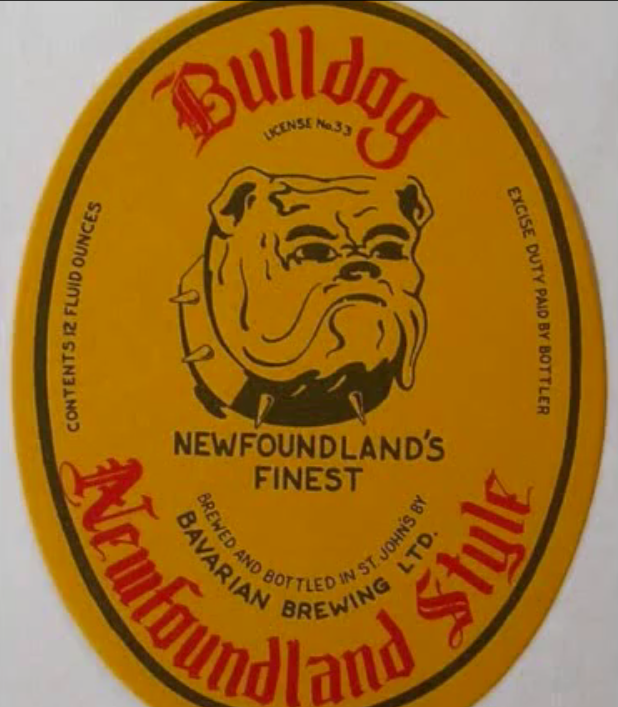 Throughout this site I’ve covered a great number of Newfoundland’s former breweries. One that I’ve really neglected has been the Atlantic Brewery in Stephenville. On the overview I link to this page which gives a good overview of the brewery’s history, so here I want to write a few interesting points from that article and include a few pictures from my collection. The Atlantic Brewery, a high-budget ($2.5 million, that’s almost $4 million using a rough inflation calculation – that’s a lot for any brewery) project, opened in 1968 with a staff of 50 people. Within a year the brewery reduced its workforce and then shutdown. Why it failed doesn’t seem to be obvious. It might be a case of “too big, too quick,” but until I hit the archives for some old newspapers I can only speculate. The Brewery produced, to my knowledge, two primary beers. Their flagship was Atlantic Lager. Atlantic Lager, my collection, 2012. 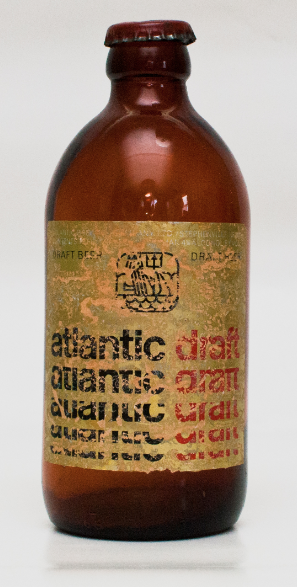 It came in a pretty simply stubby with the Atlantic Brewery’s logo, which looks a bit like Poseidon to me. The bottles I have, I have two (the better condition one is pictured), both still have beer in them. 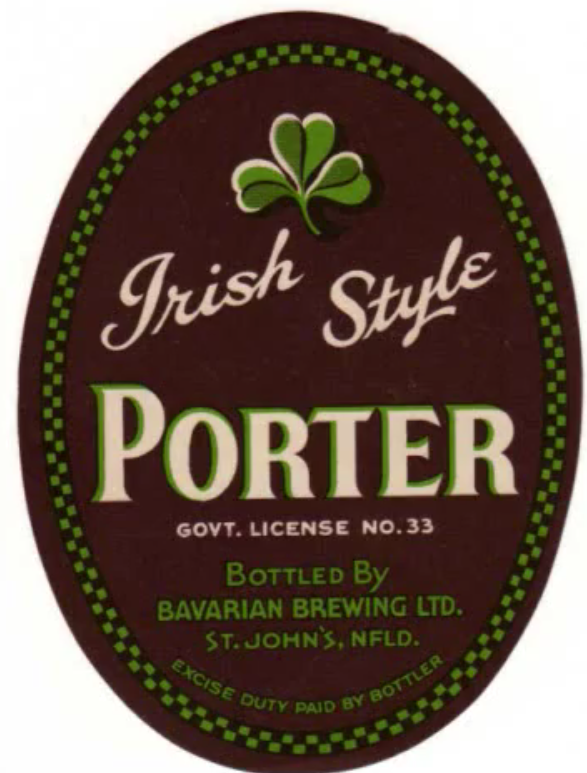 According to the person at Livyers Antiques, who I purchased the bottles from, many of the bottles were left over as unsold surplus after the brewery closed and ended up not being drank. So, if you find a bottle it’ll likely be full! This might also account for why the brewery closed. How bad does a beer have to be that most of the old bottles you find aren’t opened? Atlantic Cap (Red), my collection, 2012. Atlantic Cap (Blue), my collection, 2012. Atlantic Draft, my collection, 2012. According to the person I bought this one from Draft bottles are considerably more rare. Considering the short lifespan of the brewery, it’s remarkable that any survive at all! 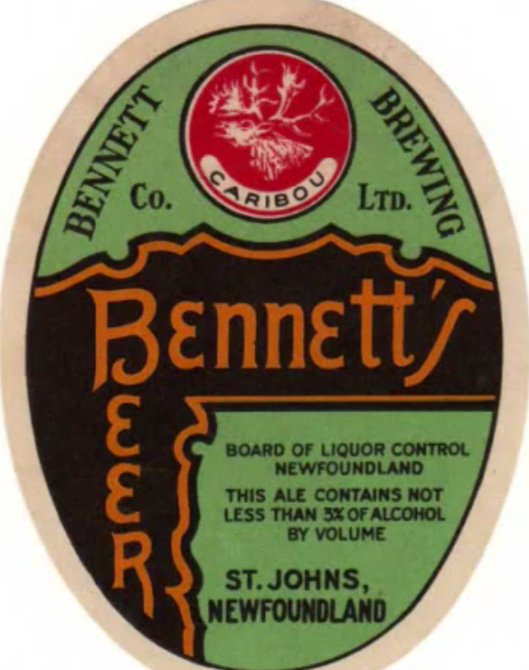 Once the brewery closed in 1969 it was purchased by the Bison Petroleum and Minerals Ltd. from the government. 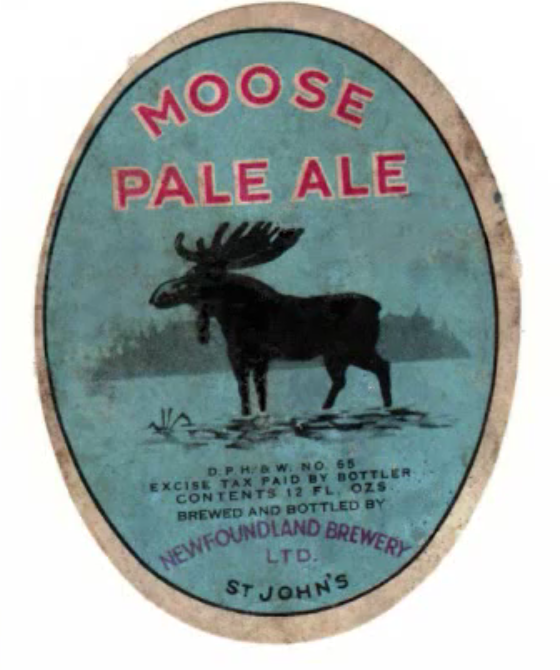 The brewery appears to have gone bankrupt and into receivership, so most of the $1.1 million purchase price was paid to creditors and the rest paid in bonds to the government of Newfoundland. Bison rebranded the brewery and increased production (from 200,000 cases to 400,000 cases) and invested new money to enter the export market. Bison Brew Beer (Bison Brewing) see this post for more on this label. 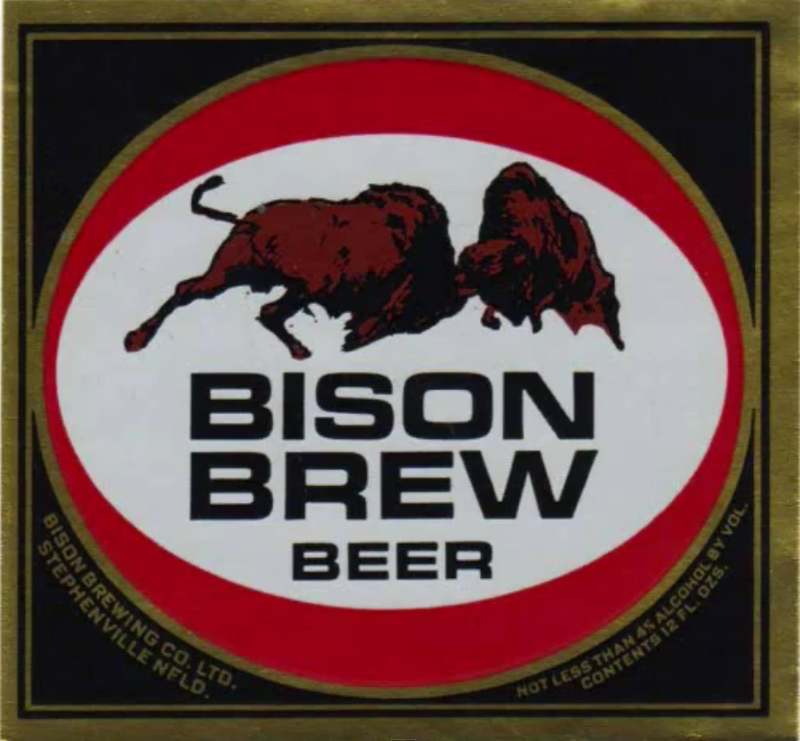 By 1973, the Bison Brewing Company was on the way out of Stephenville. 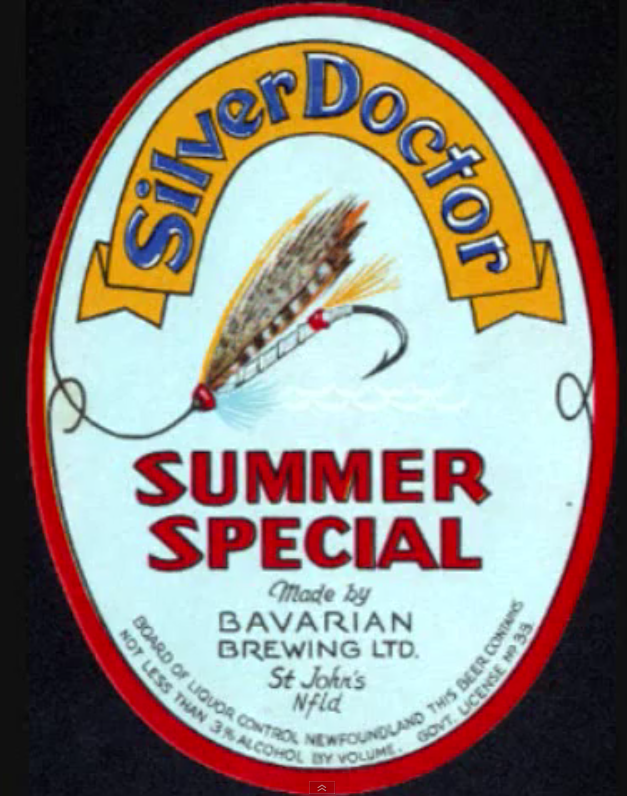 The brewery started laying off workers in the winter of the same year due to a slow period in the brewing industry. By the end of 1973 Bison Petroleum had left Stephenville. This was also due to a major flood that caused more than $1 million in damages to the facilities. 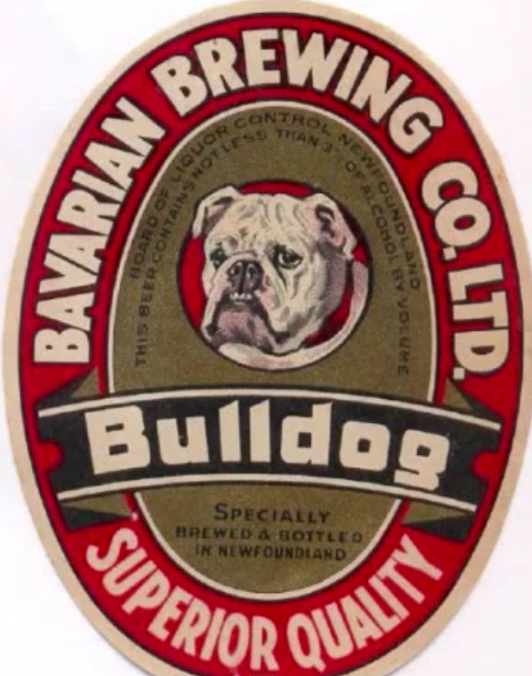 However, at this time Stephenville Brewery started up and became a successful operation. Even though Bison Petroleum was only in Stephenville for three years, that three years was enough to get the area’s economy back up and running again. The brewery gave life back to the town after the base closed down. In 1974 Labatt Breweries began operations at the site. This establishment operated until the fall of 1981. 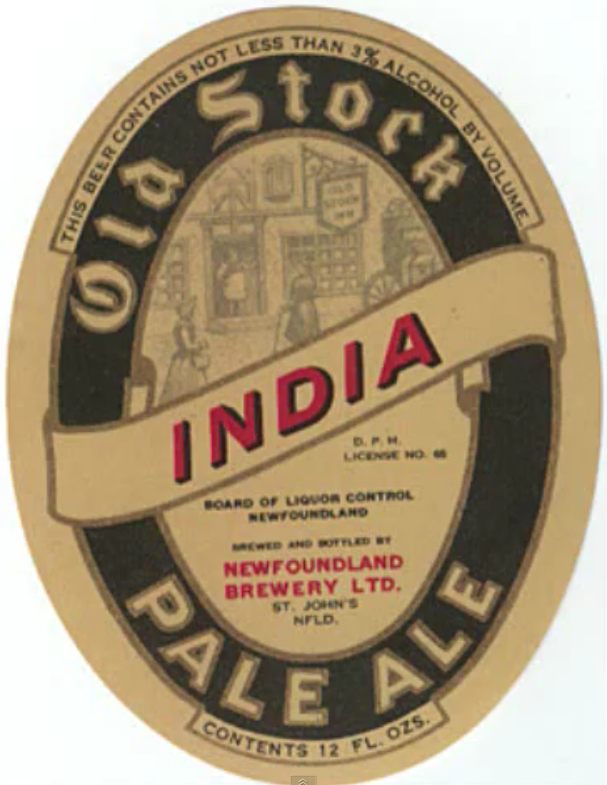 At that time personnel were laid off and the Stephenville brewerie’s responsibilities were transferred to St. John’s. So that’s the brief history of the rise and fall of the Atlantic Brewery. 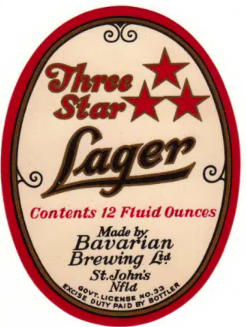 It’s useful to note for dating bottles that if a Labatt brand (like Blue Star or Jockey) says “St. John’s and Stephenville” then it’s likely from between 1974-1981. It’s too bad about the Atlantic Brewery, it’d be nice to have breweries outside of the Avalon today, even a small one making local craft beer (though the scope of the Atlantic Brewery certainly wasn’t to be a craft brewery like we’d recognize today). I also wonder how many more unopened bottles of Atlantic Lager are out there. Anyone want to drink 50 year old beer with me?